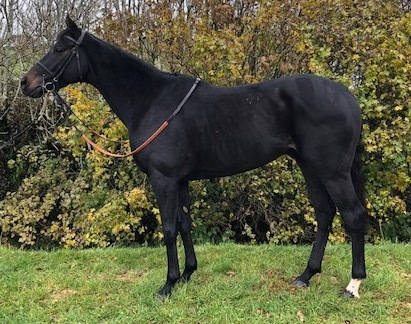 A really likeable, good-moving individual, this unexposed four year old has run just once in his career to date, in a 1m2f maiden on desperate ground at the Curragh last May. Though he was ultimately well held that day, it is noticeable that his rider wasn’t overly hard on him and it is also noteworthy that the likes of Giuseppe Garibaldi (placed in Pattern company on his last six starts, Racing Post Rating 108) and Astronomer (won his next four starts, runner-up in the Old Rowley Cup and Racing Post Rating of 114) were beaten 8 and 12 lengths respectively, so it was clearly very hard work! Barrier Reef has a very strong pedigree, being a full brother to the classy stayer Botany Bay and to Fort Denison (whom we also purchased at Newmarket!) and out of a half-sister to black-type performers both on the flat and over jumps. He looks a really nice type and, having had an easy time of it last year, we can really push on with him now over hurdles in the coming months. There is a 50% share available to purchase for just £4,000 + VAT (includes all sales costs and training to 1st February). Please click here to view his pedigree.